in the context of very rewarding full pieces. This website/publishing house has one basic purpose: to expand the recorder’s repertoire with transcriptions from the greatest composer and transcriber of the era in which the recorder reached its apogee (and perhaps the greatest of all times)—J. 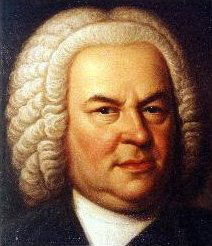 S. Bach—and from top-rank music by other composers. My working assumption is that *the preponderance* of baroque and subsequent recorder repertoire has been written by composers who are not of the highest echelon. Yes, I am among those who deeply enjoy playing and listening to the patron saint of all recorder players, Telemann (and in fact there are some arrangements of his duets here), and many others. (I also like the three modernist S’s: Schollum, Stockmeier and Sollima). But, it seems to me, the spiritual nourishment provided by Bach is on an entirely different plane. It was once said of Beethoven, and I think could equally well apply to Bach: he created works that were more different from each other than were his contemporaries from each other; this is a way of contemplating the respects in which the contribution such geniuses make are on another level entirely from that of normal earthlings. Elitist as it sounds, why not have a solo repertoire with the same spiritual nourishment that organists, violinists, cellists, keyboard players, flautists, etc., have in the works provided for them by this prolific genius? Why not have a solo recorder repertoire filled with music of a quality equal to–or even greater than–the Flauto part from Brandenburg Concerto #2? Why not have your cake and eat it too? In our particular era, in which “purists” still hold considerable sway, I am well aware that this sort of question often receives a resoundingly negative answer. But I would say, it all reminds me of the boy who said he took up viola because the repertoire was small—that way he wouldn’t have too much to learn. On the other hand, if you are actually looking to *expand* your possibilities, and are hoping to find great new recorder riffs with fascinating structure that will also build your technique, and that you can play with keyboard accompaniment (or even in most cases without), and you are anywhere from intermediate level to professional, you have come to the right place (and there is even some music here suitable for beginners). If there is still a question about whether there are adequate *raisons d’être* for these transcriptions, consider the following as a clear authenticating precedent–for at least some of these transcriptions: the fact that Bach himself arranged the Trio Sonata with two flutes BWV 1039 as the Viola da Gamba Sonata BWV 1027. In order to imagine (for example) the Gamba Sonata BWV 1029 to be an appropriate basis (in common Baroque practice) for a Sonata for solo recorder, one has only to consider that 1027 is gamba music that was once flute music, flute and recorder music was throughout the era ubiquitously interchanged, so why not have similar transcriptions be done with another Gamba Sonata? This is only one of numerous such examples. One can also consider the case of Mozart as the most significant example of other composers on this website. My own experience in collecting existing published transcriptions consists primarily of works that have much less to do with what makes Mozart great than they do with what might plausibly have been played on recorder, especially flute pieces. Thus, the issue of “authenticity” has been overriding what I would call worthwhileness–not a good situation in my opinion. At any rate, I advocate—and this website purveys—appropriations of what one might call *echt* Mozart, not limited to flute music and bassoon or horn duets. Most of the new repertoire found herein is for recorder and keyboard, but the emphasis is always on the recorder part. And in the great majority of cases, sometimes with judicious skipping, these parts sound great alone. Therefore, we have decided to accommodate those recorderists who may not have frequent access to keyboard players by allowing the purchase of the recorder parts alone, with the option to buy the keyboard part later. These transcriptions are not meant to act merely as independent stand-ins for the original works. Rather, besides their own viability, they should act as references to the originals. That is, if players are not moved to get to know the original pieces, maybe even perform them, then I will have failed in part of our mission—to send people back to the originals, so making them better known and appreciated.